I was off to the Midland area for Kristina and Taylor’s sunset engagement session at their family cottage. You know it’s going to be a great session when you need a boat to get to the shoot location – sa-weeeet. I originally met these soon-to-be-weds at Taylor’s brother Kyle’s Belcroft wedding a couple years ago and since then I’ve had the pleasure of getting to know their family. 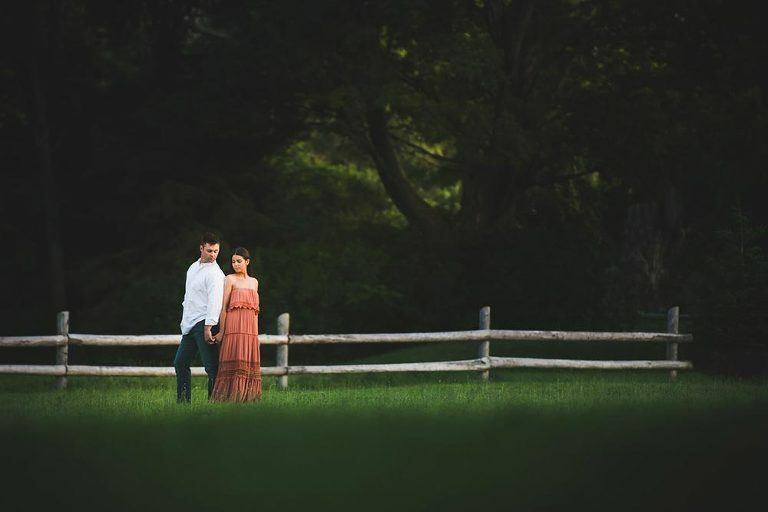 Pro Tip: The location they chose for their engagement photos was close to where Taylor proposed to Kristina and an area that has history for them. Couples struggling for ideas for where to do their engagement session, consider taking a trip down memory lane. Taylor and I always knew of each other, but we were that duo that connected one night out in a Toronto bar – we basically fell in love in a crazy place. Taylor’ts take on their meeting… Kristina and I met at a bar downtown called London Taphouse. I remember it vividly. I was with a bunch of my buddies and we all had just got back from Cancun a week earlier. I remember her walking into the bar and I could not stop staring. I had to go over and say something, right? … I did. It just so happens that one of my best friends was dating her cousin at the time and we had something to talk about. After a very exciting little conversation we didn’t speak much to each other but the next week I took her out for ice cream with a busted up lip (I got from hockey) and I think that’s when we both knew it was real. Kristina: I remember being so nervous, the first date jitters. I probably changed a million times, we went for ice cream at Baskin Robbins to be exact and we both ordered the same thing, rainbow sorbet. Taylor showed up to my house driving a 1970 Convertible GTO Judge, I was so embarrassed but little did I know it was a big deal. When Taylor arrived and knocked on my front door I opened it to find him standing there with a split lip, he had gotten high sticked in hockey earlier that day and it hadn’t stopped bleeding, it was an ice breaker to say the least. Taylor: Our first date was at Baskin Robbins. I picked Kristina up in a ’70 GTO judge (convertible) and her mom was in shock. Especially because I had a cloth to my face. To expand on what I said earlier my tooth went through my lip from a high stick I took in hockey, but there was no way I wasn’t making that date. 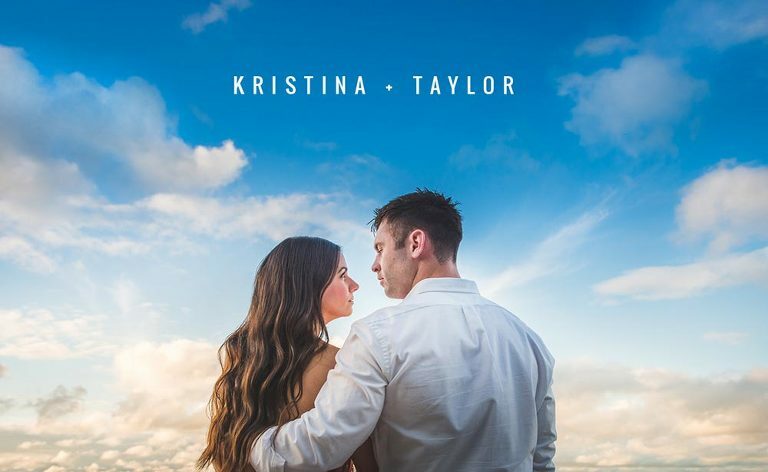 Kristina:There was this instant connection with Taylor, he is truly one of a kind and I am SO lucky. During our first date I learned that Taylor would be going away to University in Massachusetts. I basically had to make a choice about what I wanted. I knew that I could not let him go, he was my guy. We did long distance for 4 years, he would drive 8 hours to surprise me just because and bring me flowers, I knew that there was no one else like him. Taylor: Honestly, I knew the moment she walked into the bar that night, at least in my mind. The next morning (after creeping her Facebook) I said to my buddy .. “I’m going to marry that woman Tites”. He laughed of course, but it became reality! THE PROPOSAL, HOW DID IT GO DOWN? Our 6 year anniversary was coming up, we went up to the cottage for the weekend and Taylor had made his way up after work on Saturday. That day I couldn’t wait to see him, I had no idea what was going to happen later on but I just had that bubbly feeling like I couldn’t get enough. When he got there he packed a cooler bag and we went on a boat ride, the lake was so calm and the sun was setting. He joked that he had got me a present but our anniversary wasn’t until the following weekend, before I could really take it in he put on the music opened the bag and pulled out this box and got down on one knee. The rest is history, I wish every day I could relive that moment. It was perfect. Taylor’s Coles Notes Version: On the boat and lake where we had one of our first getaways by ourselves 5 years prior. Kristina: Taylor’s passion for life, there is really no one else like him, each day I admire him in a different way. Taylor: I love everything about Kristina, I truly do. Her smile really shoots me to the stars. Not only do I love her good looks but she is the angel I have always needed beside me. She is the most loving and caring person I have ever met and she takes care of me in every way you could imagine, but what I really love most about her is how much she loves me. BESIDES GETTING MARRIED, WHAT ARE THEY LOOKING FORWARD TO MOST ON THEIR WEDDING DAY? 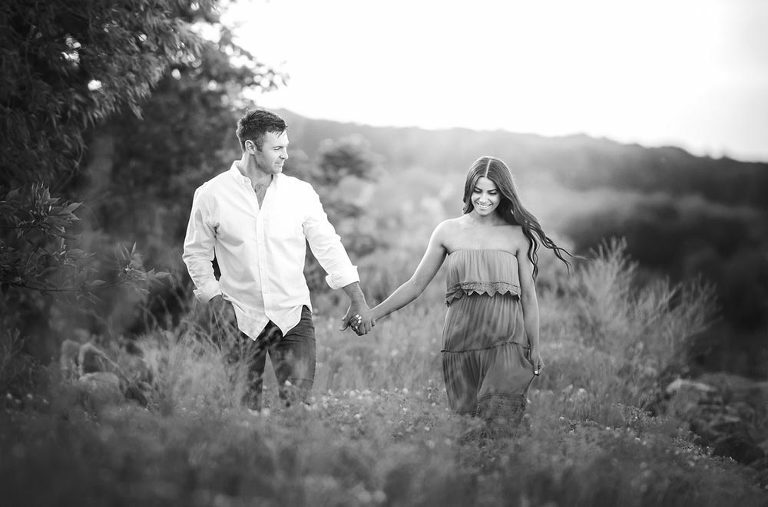 Kristina: To see it all come to life, and to share our most special moment with those we love. Taylor: I am looking forward to celebrating with everyone close to me and Kristina. Our family and friends are such a blessing and we are so fortunate for that.